The New Room will be hosting a travelling exhibition on the life and times of George Whitefield, one of the most influential preachers of the eighteenth century. 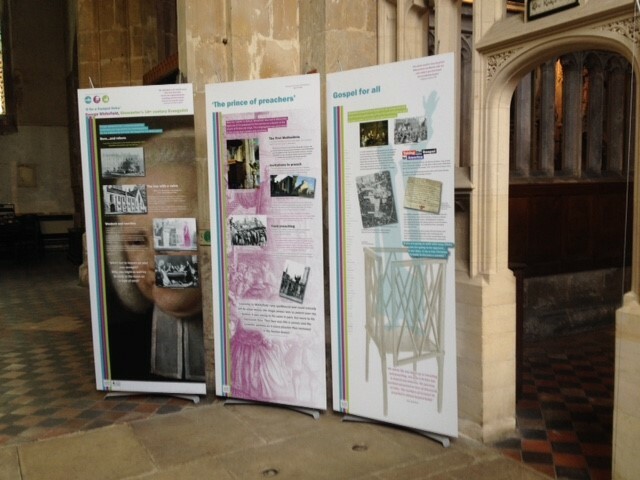 A series of pop-up panels will be on display in the Chapel from May through to July. The display will highlight the role George Whitefield played in encouraging John Wesley to preach in the open air and will take a closer look at his ministry. The exhibition is kindly on loan to the New Room from Discover DeCrypt in Gloucester and has been put together in collaboration with Alan Morgan and St John’s Northgate. The Church of St John’s Northgate is today the centre of Methodism in Gloucester. Whitefield preached his first sermon at St Mary de Crypt Church, a week after his ordination. He had earlier become the leader of the Holy Club at Oxford when the Wesley brothers departed for Georgia. Whitefield formed and was the president of the first Methodist conference, but he soon relinquished the position to concentrate on evangelical work.